The updates to the official Google Play app have been arriving thick and fast over the last couple of weeks. 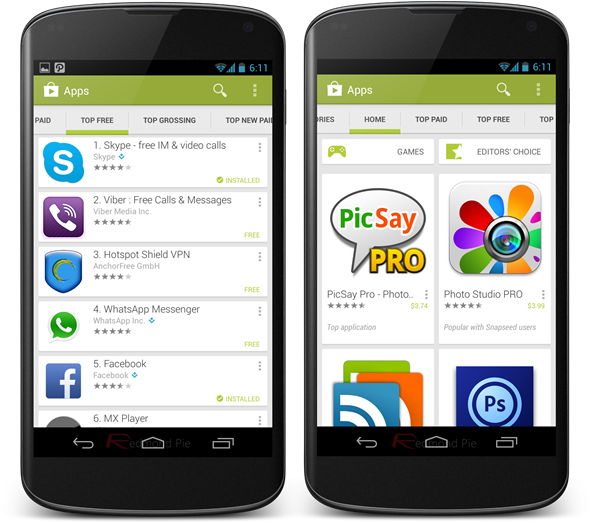 Google Play Store 4.0.25 APK brought a substantially revamped user interface when released earlier on in the month, and that was quickly followed by last week’s arrival of Google Play Store 4.0.26 APK, which offered a bunch of bug fixes and performance enhancements. Today, the APK of Google Play Store v4.0.27 has appeared, and as with the last week’s version, it’s mainly a housekeeping update. The new look of the Google Play Store app from version 4.0.25 has been met with a generally positive response, but while the interface seems complete, the app itself is still in need of some fine tuning. Google has been working on getting this very important app up to scratch, and admirably, is keeping the release cycle as regular as possible and allowing Android users to enjoy the improvements as they’re applied. We have torn the new version of the app down and found precious little of note, but bug fixes are bug fixes, and if you prefer you bugs to be fixed as opposed to bugging, you’ll want to grab the latest APK linked to at the bottom of this post. As with v4.0.26, it’s beginning to appear as though the Google Play Store app users outside the United States are able to see featured and promotional content, something which was initially only applicable to Play Store app users within the confinements of the US. When that semi-major overhaul first arrived, those in various parts of the world found their recommendations had vanished, and this naturally led some to hold off updating until the issue was fixed. While we cannot guarantee that everyone everywhere can now enjoy featured content and recommendations with version 4.0.27, many Droidsters have noted that this problem has been rectified for them. Grab the latest version below if you don’t wish to wait, or simply hold on for a short while and the OTA should arrive to your smartphone or tablet in the coming hours or days. 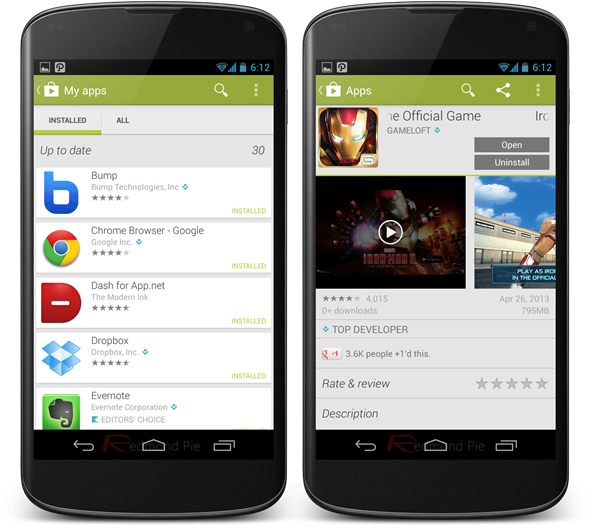 Download the latest Google Play Store 4.0.27 APK from here.